Otoniel “Tony” Navarrete was born and raised in Arizona to immigrant parents. 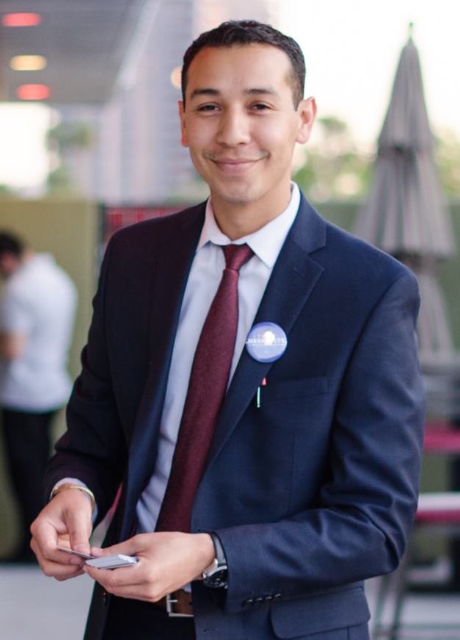 He currently serves as the Deputy Director of Promise Arizona, a nonprofit community-based organization, where he works to advance policies that strengthen families and increase civic participation. Tony was raised in West Phoenix in a home built by his late grandfather. He attended the Isaac School District, graduated from Carl Hayden Community High School, and later earned an undergraduate degree in Urban and Metropolitan Studies from Arizona State University. At an early age, Tony was inspired to think about and promote social justice, including breaking the cycles of poverty through community development at the nonprofit Neighborhood Ministries. Following years of community involvement and working closely with formally adjudicated young adults, he moved to New York to work on housing and jobs issues, an experience he brought back home to Arizona after learning mother was diagnosed with breast cancer. Today, she remains in remission. Since returning to Arizona, Tony has committed himself to working with leaders throughout the state to become more engaged in the process of public policy decision making, while actively fighting to advance comprehensive immigration reform. Tony was elected in 2016 to serve Arizona’s 30th District as State Representative in the 53rd Legislature. This is his first term in office. He has pledged to champion issues on education, jobs development, and criminal justice reforms. In his free time, Tony enjoys spending time with his family and childhood friends.